Those wanting to go to war with Syria need to really think about what is going on there, and what we are not being told by our government and the media. Not to mention it is Unconstitutional to go to war with a nation when there is no direct imminent threat to the United States. 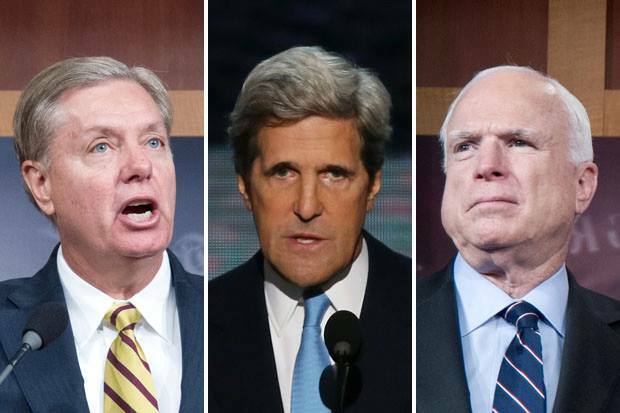 And Democrats Obama, John Kerry, and Nancy Pelosi and Republicans John McCain and Lindsey Graham are on the same team? (read more). At the very least this is going to incite the Cold War all over again. Should I mention our troops will be fighting alongside Al Qaeda? At the worst...yes. WWIII is a strong potential...and that is the unfortunate reality. Contact your representatives in the US House and Senate with links below the video. *Visit their Local Office if you can. Call their Local and Washington office in that order. People at the Local office worry a little more about their jobs than the career staffers in Washington.